E-commerce giant Amazon’s power has steadily grown to the point where it can flash-fry competitors just by pointing its fearsome gaze in the general direction of their retail sector, like a magnifying glass aimed at ants or a really efficient Eye of Sauron. Now it’s eyeing moving into the pharmacy sector, and competitors are sufficiently freaked out that they’re taking drastic measures—like CVS, which the New York Times reports has struck a fairly unprecedented deal to purchase health insurance company Aetna for $69 billion. Per the Times, the pharmacy chain has agreed to pay about $207 per share for Aetna, $145 of it in cash and the rest in shares. 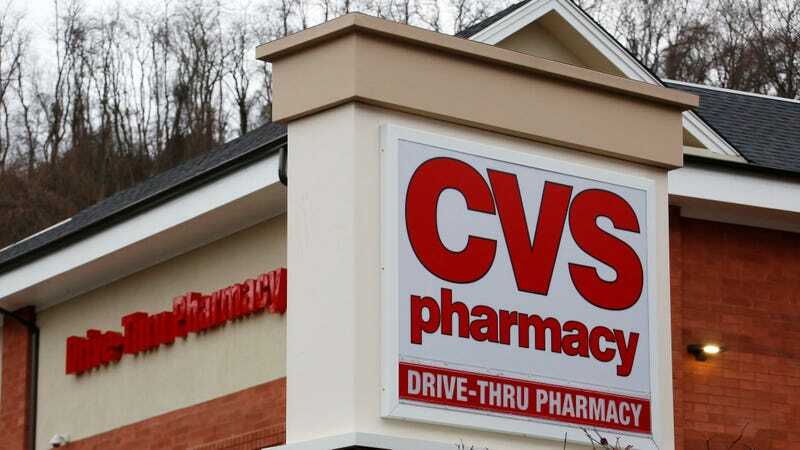 The Washington Post wrote that the move is intended to turn CVS’s “9,700 pharmacy storefronts into community medical hubs for primary care and basic procedures,” as well as broaden its revenue base so that it is not quite as reliant on retail sales. Proponents say the deal could lower health care costs by allowing customers to see nurses and pharmacists at lower prices than in a hospital, such as providing “follow-up and monitoring to patients recently released from hospital,” per the Post. It could presumably also lower drug prices somewhat for participants in the insurance program who fill their prescriptions at CVS stores. Aetna will remain “a standalone business within CVS, led by members of the insurer’s current team,” per the Wall Street Journal. As the Journal noted, while CVS is spooked by Amazon, Aetna seems to be boxed in following failed attempts to merge with other insurers and is looking for ways to continue growing through consolidation. While the current presidential administration is reliably business-friendly and ideologically inclined to support major corporate deals, the Department of Justice recently sued to block a merger between cable giant AT&T and content company Time Warner. However, it remains unclear whether the DOJ is actually taking anti-trust seriously or is just carrying out the president’s personal vendetta against CNN, a Time Warner subsidiary. Even if regulators allow the CVS-Aetna deal to proceed, the combined company will need to survive Amazon’s encroachment on the pharmacy sector—something not exactly guaranteed, given the company has had few problems blasting through other parts of the economy and has some analysts talking about a $1 trillion valuation in the near future. Could the Personalized Medicine Revolution Actually Slow Innovation?